A teenage girl held her composure long enough to play an orchestral arrangement for one of the city’s most legendary rappers, and then she reverted back to focusing on the top priority for most kids: She confidently asked T.I. to follow her on social media. The teen is one of seven local middle and high school students at Crossover Entertainment Group, a popular local performance rehearsal venue, who gathered Wednesday to prepare for the performance of a lifetime. Today, the group flew to Washington, D.C., to record three songs with Atlanta rapper, actor and philanthropist T.I. (Clifford Harris) for NPR’s Tiny Desk Concert series. The popular series is recorded live at the desk of NPR’s “All Songs Considered” host Bob Boilen. Artists ranging from Adele to Chance the Rapper and Chris Stapleton have recorded episodes for the series. The T.I. segment will be broadcast in early August. Cricket Wireless sponsored the trip for the group of Atlanta students, which includes four violinists, a violist, cellist and trombonist, who are members of the Atlanta Music Project. The group includes 14-year-old Lailah Carter, 16-year-old Landon Isaiah Wilkins, 16-year-old Nehemiah Wiggins, 17-year-old Ashley Sierra Gibson, 16-year-old Nyasjah Breshay Brooks, 14-year-old Brent Cameron and 16-year-old Corey Lewis Jones Jr.
T.I. met with the kids for the first time at the performance rehearsal studio Wednesday, one day before the taping of his Tiny Desk Concert. “Y’all ready?” he asked the teens jokingly. The rapper, who was juggling daddy duty and carrying his two-year-old daughter Heiress Harris around the space, listened to the group rehearse the arrangement for “Rubberband Man” and “What You Know” before complimenting them on their sound. T.I. said he thought the partnership between himself, Atlanta Music Project and Cricket Wireless was “phenomenal” and a much-needed way to fill a void in the underserved communities he grew up in and has worked hard to give back to since becoming famous. “It’s important that we provide ways for the next generation to continue to build, shape and cultivate their dreams so they can do it for the next generation,” he said. Atlanta Music Project seeks to provide opportunities for kids in underserved communities to learn music. With a small staff of six, the organization runs tuition- and audition-free orchestral and choral programs, as well as a training program for advanced student musicians. 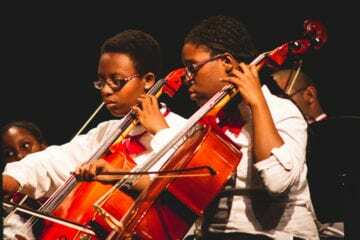 The organization, which provides instruments for any student who does not have one, currently has 300 participants ranging from first grade students to seniors in high school. Stephanie Shapiro, Atlanta Music Project’s director of development, said the organization primarily serves students who are a part of generational poverty and might not otherwise have the resources or opportunities to take music classes. “These students come from zip codes where there’s a higher probability of going to prison before graduating high school,” she said, noting that not only do all of their students graduate from high school, but they are engaged with their coursework. Dantes Rameau, Atlanta Music Project cofounder and executive director, said a major priority for the organization is eliminating any barriers of entry for families. 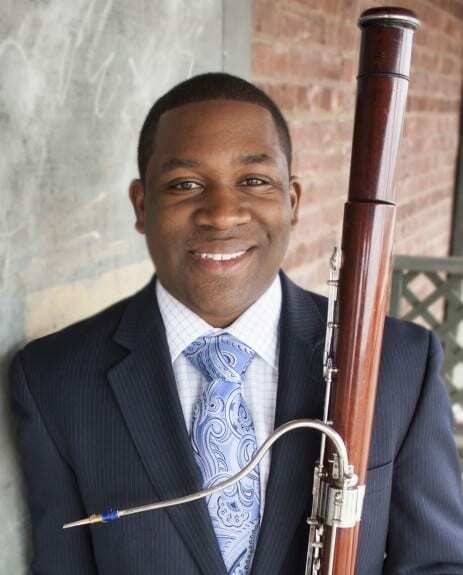 Students are taught by members of the Atlanta Symphony Orchestra, as well as musicians who attended local colleges and universities such as Spelman and Morehouse College. The Atlanta Music Project students have traveled to California, Chicago and other places to perform, but Shapiro said T.I. is a great role model for them because he is an example of a successful person from their own neighborhood. 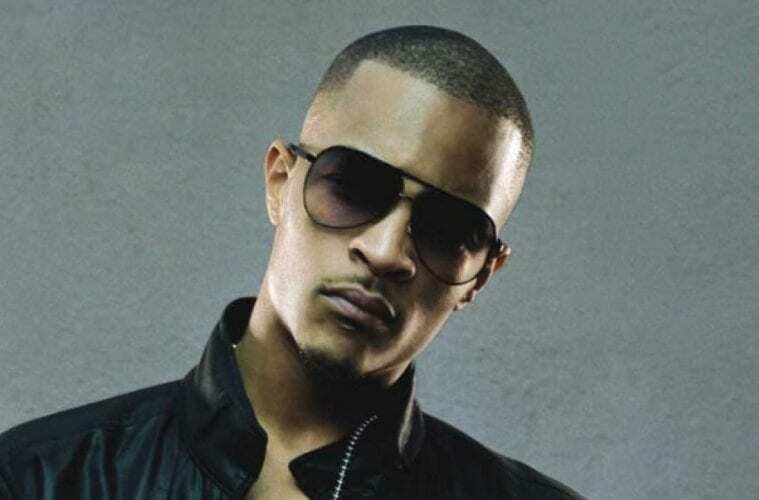 Shapiro said the opportunity to perform with T.I. came about one week before the scheduled performance, and the seven students weren’t notified until a few days before. Landon Isaiah Wilkins was attending summer camp at Florida State University when he received a call about the performance. The Maynard Jackson High School student flew back from Florida on Sunday and began rehearsing on Monday morning. Wilkins, an Alabama native, was already playing the violin when he first began attending the Atlanta Music Project’s summer program while visiting family members. He moved to Atlanta and continued training with the organization after his mother died. Wilkins, who said he is transferring to Tri-Cities High School in the fall, says being a part of the group made transitioning to life in Atlanta much easier for him. Wilkins said he began listening to the songs he’d be performing with T.I. on the plane ride back from Florida State University so he’d be ready for rehearsals. He said working with various styles of music gave him an expanded knowledge and helped him to be adaptive when the time came to apply his orchestral training to working with a hip-hop artist. “I never thought I would ever get this opportunity,” he said. Rameau said T.I.’s willingness to work with local students shows his dedication to the community. 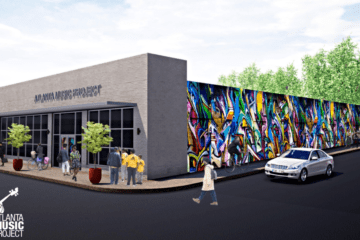 The next big undertaking for the Atlanta Music Project is already underway, though. Rameau said the group is launching a youth orchestra and choir in the fall. He said they will be audition-based and competitive.